I have made many visits to Japan over the last several years to speak at conferences and to meet with developers. I really enjoy the people, the strong sense of community, and the cuisine. Over the years I have learned that there’s really no substitute for sitting down, face to face, with customers and potential customers. You can learn things in a single meeting that might not be obvious after a dozen emails. You can also get a sense for the environment in which they (and their users or customers) have to operate. For example, developers in Japan have told me that latency and in-country data storage are of great importance to them. 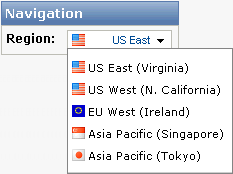 Long story short, we’ve just opened up an AWS Region in Japan, Tokyo to be precise. The new region supports Amazon EC2 (including Elastic IP Addresses, Amazon CloudWatch, Elastic Block Storage, Elastic Load Balancing, VM Import, and Auto Scaling), Amazon S3, Amazon SimpleDB, the Amazon Relational Database Service, the Amazon Simple Queue Service, the Amazon Simple Notification Service, Amazon Route 53, and Amazon CloudFront. All of the usual EC2 instance types are available with the exception of the Cluster Compute and Cluster GPU. The page for each service includes full pricing information for the Region. Although I can’t share the exact location of the Region with you, I can tell you that private beta testers have been putting it to the test and have reported single digit latency (e.g. 1-10 ms) from locations in and around Tokyo. They were very pleased with the observed latency and performance. Existing toolkit and tools can make use of the new Tokyo Region with a simple change of endpoints. The documentation for each service lists all of the endpoints for each service. A Japanese-language version of the AWS website. A Japanese-language version of the AWS Simple Monthly Calculator with new region pricing. An AWS forum for Japanese-speaking developers. Japanese-speaking AWS Sales and Business Development teams. An AWS Premium Support team ready to support the Japanese-speaking market. A team of AWS Solutions Architects who can speak Japanese. 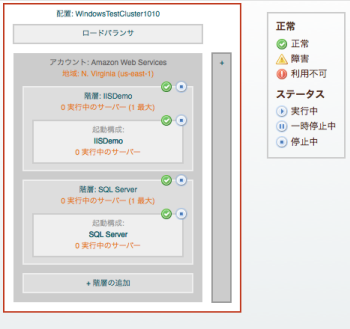 An AWS blog in Japanese. 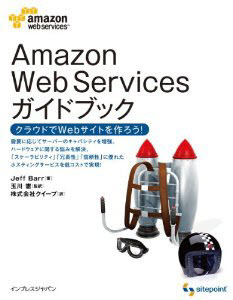 A brand-new Japanese edition of my AWS Book. Put it all together and developers in Japan can now build applications that respond very quickly and that store data within the country. The JAWS-UG (Japan AWS User Group) is another important resource. The group is headquartered in Tokyo, with regional branches in Osaka and other cities. I have spoken at JAWS meetings in Tokyo and Osaka and they are always a lot of fun. I start the meeting with an AWS update. The rest of the meeting is devoted to short “lightning” talks related to AWS or to a product built with AWS. For example, the developer of the Cacoo drawing application spoke at the initial JAWS event in Osaka in late February. Cacoo runs on AWS and features real-time collaborative drawing. Zynga is now running a number of their applications here. In fact (I promise I am not making this up) I saw a middle-aged man playing Farmville on his Android phone on the subway when I was in Japan last month. He was moving sheep and fences around with rapid-fire precision! The enStratus cloud management and governance tools support the new region. enStratus supports role-based access, management of encryption keys, intrusion detection and alerting, authentication, audit logging, and reporting. All of the enStratus AMIs are available. The tools feature a fully localized user interface (Cloud Manager, Cluster Manager, User Manager, and Report) that can display text in English, Japanese, Korean, Traditional Chinese, and French. enStratus also provides local currency support and can display estimated operational costs in JPY (Japan / Yen) and a number of other currencies. Sekai Camera is a very cool augmented reality application for iPhones and Android devices. 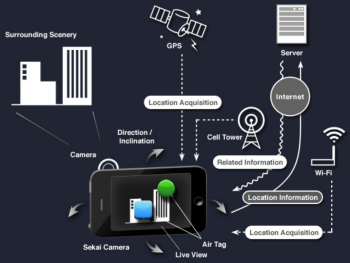 It uses the built-in camera on each device to display a tagged, augmented version of what the camera is looking at. Users can leave “air tags” at any geographical location. The application is built on AWS and makes use of a number of services including EC2, S3, SimpleDB, SQS, and Elastic Load Balancing. Moving the application to the Tokyo Region will make it even more responsive and interactive. G-Mode Games is running a multi-user version of Tetris in the new Region. The game is available for the iPhone and the iPod and allows you to play against another person. Cloudworks is a management tool for AWS built in Japan, and with a Japanese language user interface. It includes a daily usage report, scheduled jobs, and a history of all user actions. It also supports AWS Identity and Access Management (IAM) and copying of AMIs from region to region. 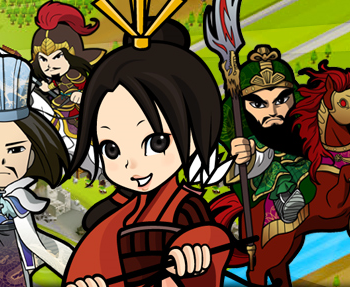 Browser 3Gokushi is a well-established RPG (Role-Playing Game) that is now running in the new region. RightScale has been supporting our Japanese customers during the months leading up to today’s release. You can read more about what they do to move to a new region in their newest blog post: RightScale Global: Next Stop Japan. The S3 Browser now supports the Tokyo Region. A new version of S3 Backup has been released, with support for the Tokyo Region. The latest snapshot builds of Cyberduck for both Mac and Windows support the new Tokyo region. See the Cyberduck Amazon S3 Howto for more information. CloudBerry Explorer now supports the Tokyo Region and sports a localized user interface. Read more. Scalarium is ready to roll in Tokyo, and includes several graphical themes designed specifically for the Japanese market. The SDB Explorer for Amazon SimpleDB now supports the Tokyo Region per their blog post. Zmanda Cloud Backup now supports the Tokyo region; more info here. Note: Tetris and 1985~2011 Tetris Holding. Tetris logos, Tetris theme song and Tetriminos are trademarks of Tetris Holding. The Tetris trade dress is owned by Tetris Holding. Licensed to The Tetris Company. Game Design by Alexey Pajitony. Original Logo Design by Roger Dean. All Rights Reserved. Sub-licensed to Electronic Arts Inc. and G-mode, Inc.